Shelmalier Crossabeg School of Music holds children's classes Tuesdays (3.15-6pm) during school terms. The venue is Crossabeg national school. 1 instrument €7, 2 instruments €10. Various instruments covered, beginners & intermediate levels. Lessons last 40 minutes. All Lessons include notation and theory. Tel Catherine - 087 0533952 or Denise - 086 7302249. Niamh Page is a qualified and hugely experienced Sean Nós dance instructor. She has weekly adult classes at Drinagh Dance & Fitness Centre, Wexford starting Saturday, Sept 9 (10.30-11.30pm). All levels welcome. She also takes groups in Rosslare and Kilrane. Tel 087 9233506. 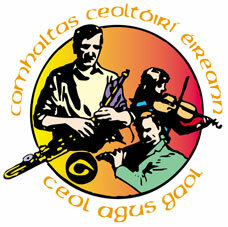 Wexford Folk Orchestra consists of approximately thirty-two musicians from throughout the community. They play a unique mix of traditional and folk music, songs and recitations. Instruments include fiddle, banjo, guitar, accordion, flute, whistle. When they get together with the Wexford Sea Shanty Singers the sparks really fly! We think they are super-fantastic. Long established and much respected fiddle player and teacher. Alice was a big hit at last Summer's Wexford Comhaltas Seisiún series. Based in Barntown, near Wexford Town. Tá seisiún Gaeilge agus comhrá le Conradh na Gaeilge gach Chéadaoin ag a 8 a chlog i Scoil na mBráithre Críostaí Baile Loch gCarman. Fáilte roimh gach duine. Conradh meets every Wednesday at 8pm in the Christian Brother's Secondary School Wexford Town for relaxed and informal chat. All Welcome.